With Homo Novus (Riga), LIFT (London) and Wunderbar (Newcastle). 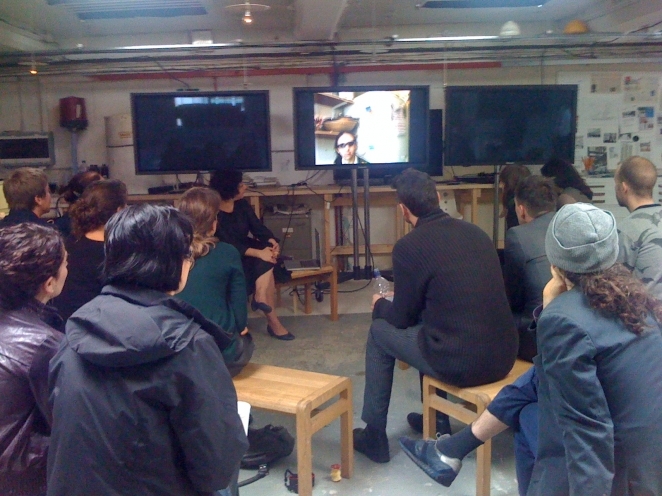 Curators and Producers – Joon Lynn Goh and Simone Kenyon, Guest Curator – Ilana Mitchell, Distance Associate – Neil Callaghan, Communications Associate – Anna Cook, Production Co-ordinator – Euan Maybank, Project co-ordinator, Wunderbar – Katy Van Den Dries, DISTANCE Producer at Homo Novus – Sandra Lapkovska. 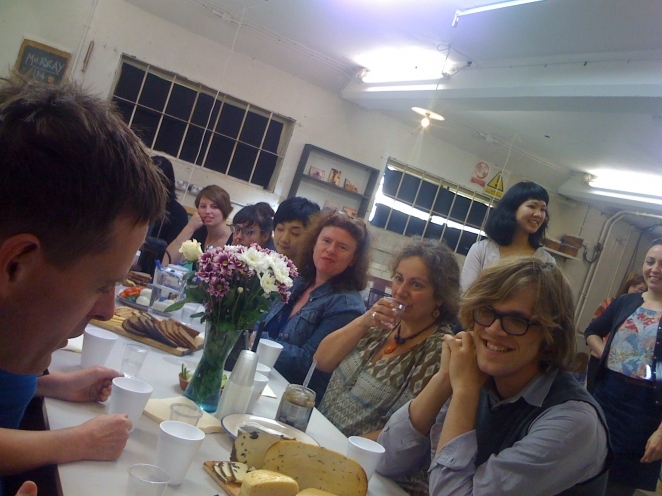 In Autumn 2011, Distance roamed between Riga, London and Newcastle, a travelling programme of artists’ projects that explored our relationships to distance. 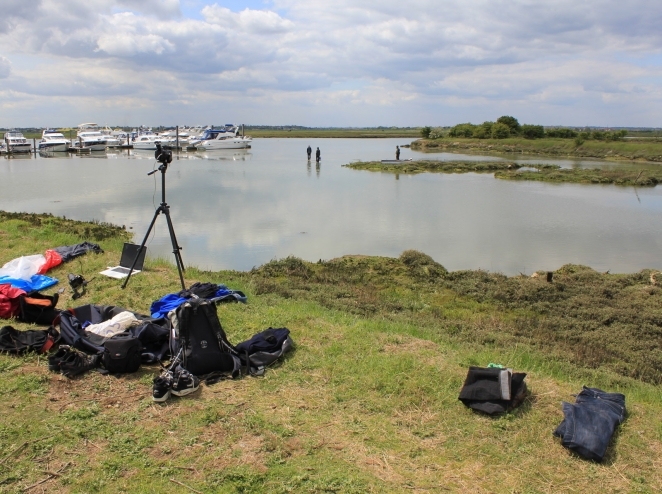 From Ryanair to migration, trespass to Skype, new technologies to age-old customs, there are multitudes of ways to engage with people – whether they are across the world and across the street. Using such things as weather balloon transmissions, conversations with zookeepers, spy sunglasses and drawings made by aeroplane motion, this group of internationally diverse artists took us on some epic journeys. Check out Simone and Lynn, the project curators, and Steven, one of the artists, explaining all to the British Council in Latvia. 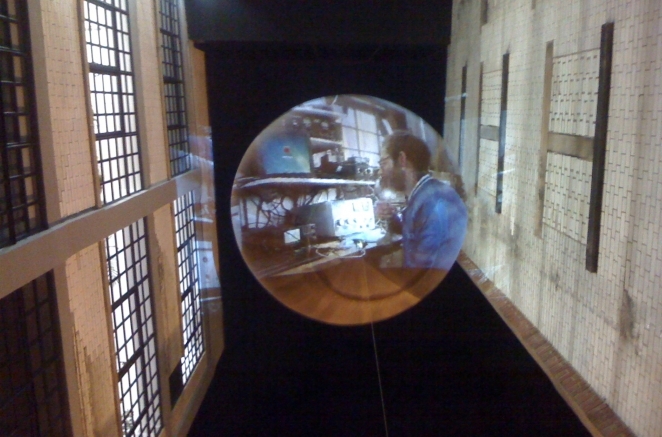 Through a special app downloaded to your computer, Field Broadcast streamed live, and unannounced, pop-up video made by the three artists. Catching you unawares, the broadcasts created a playful interruption to daily life. Sometimes, there seems to be a thin line between hospitality and trespass. Navigating their way into and around both public and private events to which they hadn’t been invited, Ruti and Maayan filmed their encounters on cheap spy cameras, hidden in sunglasses. 2,360 miles explored possible ways to physically comprehend the enormity of global distances. 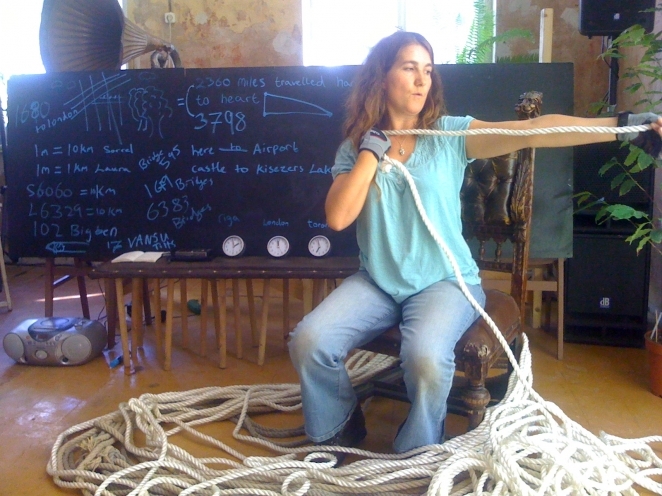 Sorrel and Laura represented the 2,360 miles between the three cities with a scaled length of rope – 1 meter representing one mile. They told the story of the distance and the journey between each city, and invited people to help them erode this scaled distance by walking the streets of each city. On the surface one journey resembles another, but each movement is individual, each cellular twitch unique and even in stillness we travel. Visitors flying to or from the 3 festivals were invited to map the take off and landing of their journeys. They were asked to use the airline disposal bag from the seat pocket and, with a pencil, map the rush of g-force and drop of altitude through their own muscular system. The ‘How To’ video explains it best. Then the drawings were lined up in an exhibition that grew with each leg of the Distance project. Peak Anxiety Satellite was an amateur experiment bridging the gap between our desire for a better future and our everyday anxiety about the present. In this experiment, Ounanian reproduced the design of a soviet era anxiety receiving satellite; sending human anxieties over a short distance to be received by a 12 foot aerial balloon set to orbit the earth. Having spent almost 10 years working with animals in a zoo, Silis turned his attention to humans. His performance centered upon the questions: what makes the human species so special? If we were put in a zoo how would we be able to distinguish ourselves from the other animals?